10 Acres with recent zoning change to Low Density Residential. 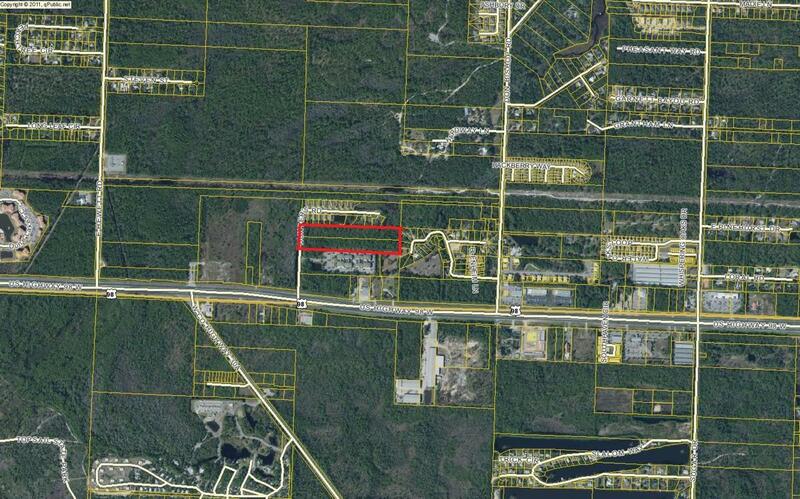 7 acres of uplands, approx 3 acres wetland (on the perimeter of property). Have applied to get wetlands permit. Just far enough off 98 to feel private but close enough to easily access beach, hospital, schools, shopping and dining. Current survey with wetland delineation, Environmental Assessment report and subdivision mock ups. FL RE Agent has interest in property.